Call me old-fashioned, but every time I tune into a radio talk show and hear what seems to be half the program devoted to reading text messages and e-mails, it irks me. The radio talk show was traditionally the only truly interactive medium before the Internet. The tradition is spoiled when someone spends half their time reading comments instead of engaging callers. The conversation between host/guests/callers is what always made radio call-in shows entertaining. The radio talk show as we know it is unfortunately gone forever, replaced with a phone/text/email hybrid monster. It’s even worse on television, which was never designed to be interactive in the first place. They have too fallen into the Twitter/Facebook trap that has already dumbed down many a newscast with segments devoted to reading tweets and comments. All this is being done to make TV seem like a natural extension of the online world. It isn’t and never will be. You cannot have a two-way conversation between one side and hundreds of thousands or even millions of others. It is difficult enough to have a meaningful, coherent discussion with large groups of people when it is entirely done online. As for the RCI saga, most of their employees recently found out they will soon lose their jobs. On June 26th, just a few days before Canada Day, Radio Canada International - a broadcaster that reaches far more people than the CBC brass will admit to or even care to know about - will be silenced. The historic Sackville transmitter will be shut down and a “new” RCI will launch as a web-based service. This decision is wrong on so many levels, particularly because even the budget they had before the 80% cuts was very meager even by CBC standards. CBC brass and supporters like to make a big deal about how important the Corporation is for the country as a national institution. Therefore, it is strange that they would decide to cut the one department that actually fulfills the role of displaying Canada and its news and culture to people who would never otherwise know anything about it. But here lies the problem, the CBC itself. It is a public institution that behaves as if it were a private one. This is not new. They don’t believe in transparency, even when the Feds dare to touch their budget. The only thing that can save RCI now is direct government intervention, ideally removing it from CBC clutches. It probably won‘t happen though, since there is no political will to save something most Canadians don’t know anything about. 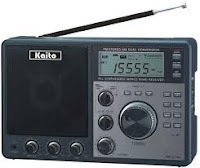 Foreign pressure has done little to save international services elsewhere because there is seemingly no money to be made in shortwave. It may seem that way, but the promotional value of having a service like RCI is far greater than governments seem to realize. Furthermore, the vast majority of people who will lose access next month do not have the Internet available to them. For them, Canada will just simply no longer be heard, period. terminate things so he can move on? caller appears, they don't get much time. viewers/listeners/readers. Now they fill with "stories from the internet", me never being sure if it's there properly, or because of some hype. The internet was often dividing along specific interests in the old days because density was too low for there to be "local" in more than a handful of places. But instead of building up "local" we end up with the left in one place, the right in another, neither side talking to each other, yet the isolation reinforces each side, and makes the clashes stronger. People know things, that doesn't mean they understand them, so whatever they get from old media, or from their "club", is what dominates them, which means so much of what people say is rehashing what someone else said, rather than adding to the conversation with at least their own words. merely reply briefly. We haven't built something new, just given soapbox to those with the ability to have lots of friends (and thus giving no soapbox to someone who has something really important to say, since they have to build an audience first). I will agree with you about some talk show hosts and the way they handle so-called two-way conversations. I have always been of the opinion that the quality of a call should be more important that the quantity. Some hosts seemed more interested in reading comments, because it leaves out the need to engage the other person on a personal level. Besides that, it is now station policy everywhere to do the text/twitter/facebook thing. Having said that, when a host repeats the topic over and over again, he is surely not getting any callers. I try listening to my local talk station, but the flow of any topic of conversation is constantly interrupted by ids, ads and so on. To a rediculous level. Difference is online you have the control to point and click on the info you are seeking. On TV especially, they are throwing several pieces of info at you at once and expecting you to take them all in.